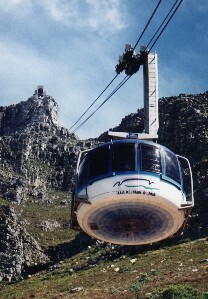 Grand tour of the Cape Peninsula This full-day tour includes the best of the best the Cape has to offer. A sea cruise from the fishing village at Hout Bay to Duiker Island to view the Cape fur seals, Chapman's Peak Drive, the Cape of Good Hope Nature Reserve, including Cape Point and the Cape of Good Hope, the historic Naval town of Simon's Town and the breeding colony of African penguins. It is also possible - depending on your available time during the day, to include the amazing floral beauty of the Kirstenbosch National Botanical Gardens or the historical Groot Constantia wine estate, cradle of our South African wine industry. Specialized Wine Tours You can visit only the large commercial venues with their ranges of well-known brands, OR you can allow us to take you off the beaten track to small, but outstanding cellars. 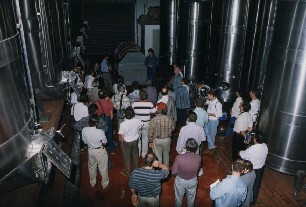 Here on these farms, you can very often meet the winemakers directly, and get first hand information on their wines. Take a trip with our wine specialist guide, and enjoy some of the best quality wines at the "little" guys. Your palate will be pleased. And - dare we say - your pocket too! 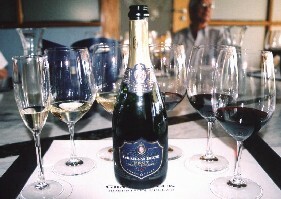 A whole spectrum of wine styles from the different wine regions of the Cape are incorporated into these tours. Day Tours can be arranged to the wine routes of Stellenbosch, Paarl, Franschhoek, Worcester, Robertson, Hermanus, Durbanville, Constantia, Helderberg or the Swartland and Darling. Longer tours can also include Olifants River and the Klein Karoo. 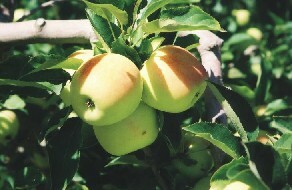 Four passes - fruit & wine tour Here is something special to consider. You will travel through some of the best wine and fruit production areas of the Western Cape, winding your way over Sir Lowry's Pass, Viljoen's Pass, Franschhoek Pass and finally Helshoogte Pass, as you complete the round trip of the four passes. Wine & fruit tastings and visits to wonderful roadside farm stalls will enhance the trip throughout the course of the day. 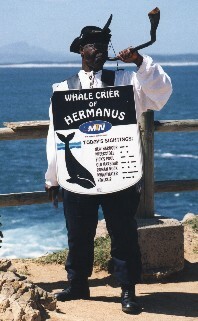 The Overberg Coastal Outing In season (May to November), nothing compares to a day of whale watching at Hermanus. Nominated by the World Wildlife Foundation (WWF) as the best land-based site from which to view whales in the world, the memories of a day spent here will remain with you forever. Scenic drives along exquisite mountain areas and a visit to the Harold Porter Botanical Garden in Betty's Bay, makes this a very special outing. And finally ... enjoy some of the best seafood on offer, at one of the many restaurants en route. Historical tours Within the South African paradigm, the western Cape is blessed with an abundance of historical towns (Cape Town itself, Stellenbosch, Paarl, Franschhoek and Tulbagh to mention but a few) and venues to visit (museums, historical sites and the like). Mission stations from years gone by (Mamré, Genadendal and Elim to name a few), are also within a day's drive from the city. Table Mountain and the city basin No visit to South Africa and the Western Cape will be complete without an ascent of the 1 000m high sandstone bastion guarding Cape Town. This historical monument and national park affords you unspoilt panoramic views of Table Bay & Robben Island, the Cape Flats, city basin, and the distant mountains of the Cape Winelands. It also brings you into close contact with some species of the flower Kingdom - "Fynbos", the natural vegetation which is found in the Western Cape. 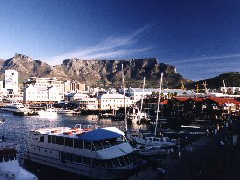 In the city basin you can visit or view places such as the Castle, the Company Gardens, the South African Cultural History Museum (housed in the Slave Lodge), the National Art Gallery, the Buildings of Parliament, St George's Cathedral and the Groote Kerk, as well as many other sites of note. The Island and Technology Robben Island - famous or infamous. Join a boat cruise to the Island and visit the prison renowned for housing Mr Nelson Mandela during the years of the struggle. On your return to the mainland, explore the technology available in the V&A Waterfront development - including the Two Oceans Aquarium (technically the most advanced on the African continent) and the Telkom Exploratorium (for a look into science). 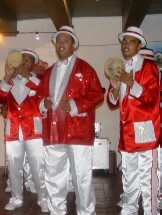 Cultural Tours Robben Island also has a cultural angle. Visit the museum and get an insight into the Island of old. 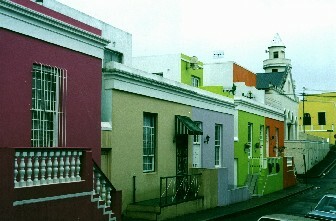 Your tour will also include District 6, legendary suburb of Cape Town and the Bo-Kaap - the old Malay quarter of the city. Near Johannesburg, Lesedi Cultural Village is a good stop. Here you can view four different indigenous cultures at one site. You can even spend a night in a traditional “kraal” (huts with surrounding area, including animal pens). When travelling to the eastern Lowveld, Shangana near Hazyview, is a must to visit. 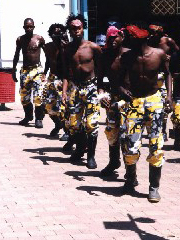 You will be brought into direct contact with the Shangaan and their tribal traditions. Lunch at the village is optional. If in KwaZulu-Natal, no visit is complete without a look into the traditions of the Zulu, largest of the South African groupings. 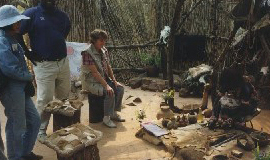 A visit to Shakaland (accommodation available) is an eye-opening experience. 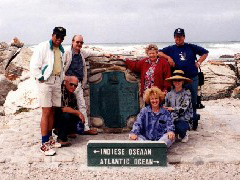 Southern tip of Africa Rendezvous Agulhas - the place of needles, is the southern-most tip of Africa. Although nothing more than a rocky outcrop, it does have the mystique of “land's end”. This is the place where the two oceans -- Indian and Atlantic -- really meet! 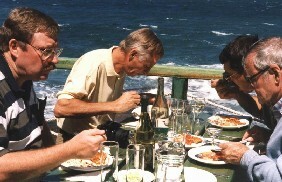 The tour also includes a visit to the Shipwreck Museum and a seafood lunch. Two Worlds Shopping Extravaganza Glitz vs. Africa. You be the judge, as you enjoy two different worlds while shopping. 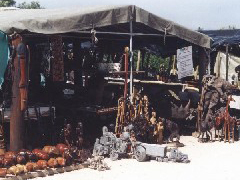 From a modern southern suburb mall, to roadside vendors and flea markets, and finally the Pan African Market. Mines & Mine Museums At Gold Reef City in Johannesburg you can venture underground (nearly 2000m) to experience the real life inside the gold mine, or simply stay above the ground and watch as they pour a gold bar. At this re-built mining town, a museum depicts the early history of gold mining in Johannesburg, a variety of shops are available or you can even spend a night at a 4-star hotel. Travelling east of Pretoria, you will find the Cullinan Diamond mine, where the largest ever diamond was found in South Africa. You can tour the mine and a local exhibition.